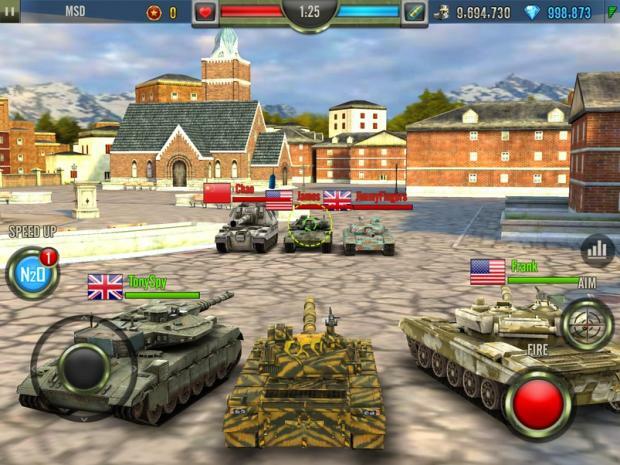 When World of Tanks launched in Russia in 2010, it quickly became a phenomenon. The game seemingly tapped into a market for massively multiplayer war gaming that had previously not been addressed. The game inevitably launched worldwide and has since smashed many MMO gaming records and won over millions of fans. It is not surprising, then, that a developer would look to duplicate that success on mobile devices, and that’s exactly what Cool Fish Games have set out to do. They too launched their game first to the Russian market, and after some great early success, are releasing the game in multiple regions around the world with the help of mobile publishing powerhouse Chillingo. 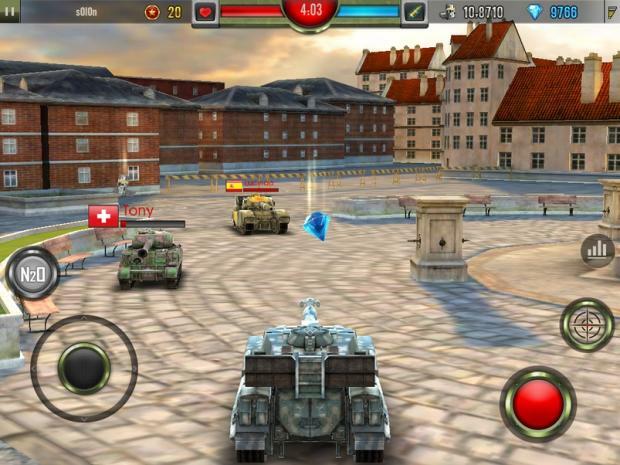 As you can imagine, the game is based around player on player tank-based battles. The game offers both free-for-all six player, all against all matches, and team three-on-three battles. These are played entirely online, against real people, although occasionally spare slots in the game are taken up by bots. Therefore, to play the game you must always be connected to a wi-fi or 3G/4G signal. Annoyingly, you cannot play bot-only offline matches in order to practise – the game really is online-only. This is even more of an issue when playing via a mobile Internet signal, as losing connection for a few seconds will result in you getting kicked from the match; all your XP or winnings lost in the process. The player starts with a basic tank, with low ratings in terms of movement speed, vehicular agility, firepower, reload speed and armour. You can upgrade these stats with money won from battle, making your tank a more formidable force on the battlefield. There are six other tanks that you can strive towards (although more are promised down the line) and purchase with diamonds (which can be bought via an in-app purchase or are won by repeat playthroughs, kills and levelling up – for example). This will take a while if you don’t want to spend more real money, however, and you will have to invest quite some time in-game to buy new tanks. The six tanks must get as many kills as possible in each two minute match, in fairly confined maps which are littered with health packs and attack multipliers. Controlling the tank is very straightforward – a virtual joystick controls movement in all directions, and considering the fact that a tank moves so slowly, the virtual stick is actually perfectly functional for the game. It doesn’t suffer like high-speed racing games do, as when driving a lumbering heap of metal, you have time to learn the controls and adjust your steering technique. Firing is a simple one-button system and you must wait for the cannon to be reloaded between shots. The more you upgrade, the shorter this delay. 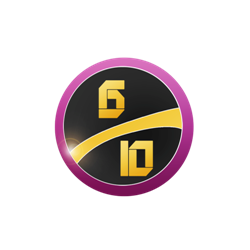 As you earn XP and level up your ranks, you also unlock new maps to play across (there are four in total) and new abilities to make use of. These include the use of Nitrous Oxide for bursts of speed and precision aiming for damaging long-range shots. Therefore, the more you play and advance your tank, the more you have in your arsenal. And you will need it because the players who have been online in Russia for a month or so can be brutal. They have unlocked the bigger tanks and can knock chunks out of your tank from halfway across the map. You have to play regularly in order to level up and be able to compete – otherwise matches seem incredibly one-sided. The sound and visuals aren’t likely to blow you away, but the 3D modelling is fairly good for an iOS title, with the tanks being faithfully reproduced after the real thing. Functional audio with a sparse use of music mean that the battles sometimes seem a bit too quiet and this doesn’t exactly help the game to build up excitement during your fights. Performance-wise, despite the game being online only, there isn’t much in the way of lag. 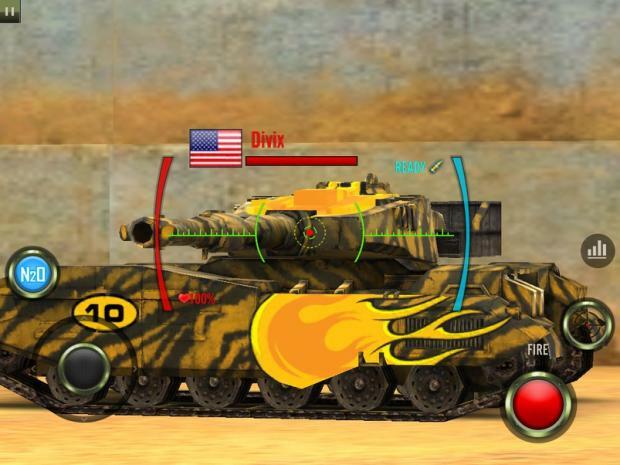 Ok, things will suffer if your connection is playing up, but in general the game runs very smoothly – this is probably due to the limit of only six tanks in each battle. Unfortunately, because there are only four battlegrounds to fight in, coupled with the fact that a lot of repeat playing and grinding will be required to level up your profile, you may well grow tired of the options in the game. It is a shame that there are only two modes of play, and that all of the levels are battle arenas, as one of the great points of a game like World of Tanks, for instance, is the huge, open levels to traverse. Each battle will feel more or less the same, and even if you join a Legion (a clan of sorts) it is unlikely that you will be put into a game with anyone you know, as matchmaking is completely random. VERDICT: Bringing tank warfare to mobile devices is a fantastic idea, especially due to the fact that high quality multiplayer games still remain few and far between on the platform. The obvious limitations of the platform hinder the scope of the title, but it does try to bring a different gameplay experience. The lack of any offline mode is a big shame, however, and this may well put off some players who would want to practise offline in order to compete with the better players already online. Perhaps as the game grows, there will be more maps, tanks and maybe even new modes added – it would be good to see this idea expanded and evolved.